← Just look at what the ‘global heat wave’ is doing to polar bear sea ice habitat! Young and very old bears, as well as sick and injured ones, are the exception: these bears often come ashore in poor condition and end up dying of starvation — as a much-publicized bear on Baffin Island who likely had a form of cancer did last summer (Crockford 2018). Competition with bigger, stronger bears means these bears can’t keep what they are able to kill and they are most often the bears who cause problems. Starvation is the leading natural cause of death for polar bears because if they cannot put on the fat they need in spring, they will not survive the low food months of summer and winter, whether they are on land or out on the sea ice (Amstrup 2003). Polar bear survival depends on the consumption of large numbers of fat, newborn seals that are only available in abundance from March to mid May (depending on the location and species of seal): after this time, fewer seals are available and are very hard to catch. Not a single sea ice prediction suggests the disappearance of sea ice in winter or early spring due to human-caused global warming (Amstrup et al. 2007; Regehr et al. 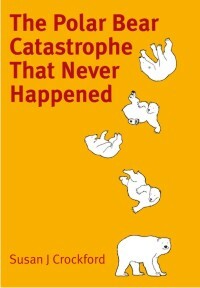 2016) and predictions of catastrophic polar bear losses due to sea ice declines have failed to materialize (Crockford 2017). From early summer to mid-fall, many bears lounge around on land with no ill-effects. As far as we know, they have always done so (see Historical Evidence below). There is also no biological reason to suggest that well-fed bears that historically did not have to spend much time ashore in summer (such as those in the Southern Beaufort) are incapable of doing so for 5 months if necessary. Back in 1874 — well before human-caused global warming reared its ugly head — hundreds of fat, healthy Chukchi Sea polar bears (see drawing below) spent four to five months on St. Matthew Island in the Bering Sea during the summer (at about 60°N latitude, not quite as far south as Churchill, Manitoba); some females stayed on to have their cubs in maternity dens dug into the hills (Eliott and Coues 1875; Elliott 1875; Klein and Sowls 2011). 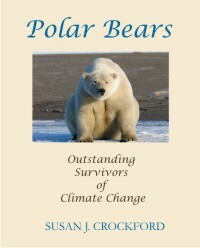 The fact that well-fed Chukchi Sea polar bears spent 5 months onshore in the late 1800s suggests that well-fed polar bears throughout the Arctic have always had the ability to fast for this length of time: it is not a new phenomenon associated with recent sea ice changes blamed on human-caused global warming (Overland and Wang 2013; Wang and Overland 2012, 2015). 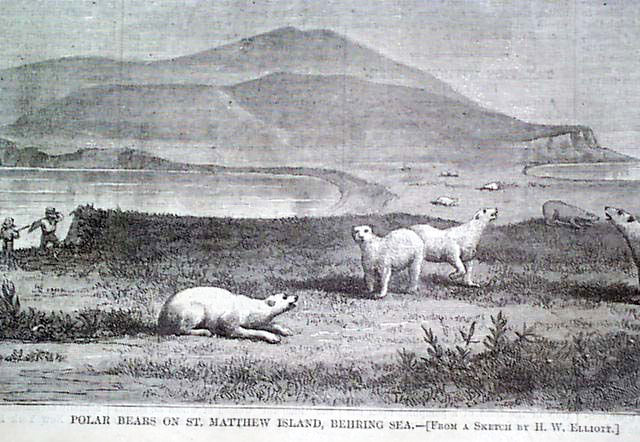 Note that polar bears no longer den or spend the summer on St. Matthew Island because they were exterminated by commercial hunters. Wrangel Island to the north is now the primary denning/summering location. One of the largest terrestrial denning area in the Arctic is on Wrangel Island, off the Russian coast of the Chukchi Sea, where in 2017 almost 600 bears were estimated onshore for the 3-4 month summer ice-free season. Bears in the Chukchi Sea are doing very well, better than they were in the 1980s (Rode and Regehr 2010; Rode et al. 2013, 2014, 2018), despite a dramatic reduction in summer sea ice (Serrez et al. 2016). Photo below of a fat Wrangel Island bear. Shutterstock. Despite concerns over the effect of spring sea ice loss around the Svalbard archipelago in recent years (circled in yellow in the maps below, from Walsh et al. 2017), polar bear data collected by researchers up to the spring of 2018 show little to no negative impact from these low ice springs (see previous post here, with references). It must be remembered that the polar bear subpopulation region that encompasses Svalbard is called “Barents Sea” (see map below from the PBSG) and includes the archipelago of Franz Josef Land to the east that has a much colder climate (Barr 1995). Franz Josef Land is where most Barents Sea polar bears live (Aars et al. 2009) and provides abundant denning habitat for pregnant females as well as a refugium for bears that prefer to stay on land during the summer when sea ice retreats. It is likely that most females that formerly made terrestrial dens on Svalbard have now shifted to Franz Josef Land (Aars 2015; Aars et al. 2017; Descamps et al. 2017), except for years (like 2014) with abundant fall ice. In other words, by mid-June at least, polar bears have largely finished their intensive feeding that’s so critical to their survival over the rest of the year. They may catch a few seals over the coming months but for most bears, this makes little difference to their overall condition or potential survival. Most bears are at their fattest in early summer (when they come off the ice to spend the summer ashore) after having gorged on newborn seals in early spring. Breakup dates for Western Hudson Bay have not become progressively earlier each year since 1979: rather, a step-change occurred about 1997/1998 that meant breakup dates since then have been about 3 weeks earlier than before (with much year to year variation). There has been no trend in breakup or freeze-up dates since 1995 or 2001 depending on how you calculate the data (Castro de la Guardia et al. 2017; Lunn et al. 2016). For both Western and Southern Hudson Bay, very late freeze up has had the most negative impact on polar bear survival. When bears come ashore in less than good condition (as they did in 1983), many bears can struggle to survive. However, poor feeding conditions on the bay during early spring (about which virtually nothing is known), can also impact the body condition and survival of bears. Stirling, I., Calvert, W., and Andriashek, D. 1984. Polar bear ecology and environmental considerations in the Canadian High Arctic. Pg. 201-222. In Olson, R., Geddes, F. and Hastings, R. (eds.). Northern Ecology and Resource Management. University of Alberta Press, Edmonton. Stirling, I, Cleator, H. and Smith, T.G. 1981. Marine mammals. In: Polynyas in the Canadian Arctic, Stirling, I. and Cleator, H. (eds), pg. 45-58. Canadian Wildlife Service Occasional Paper No. 45. Ottawa. Wang, M. and Overland, J.E. 2015. Projected future duration of the sea-ice-free season in the Alaskan Arctic. Progress in Oceanography 136:50-59. 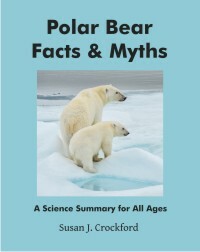 This entry was posted in Advocacy, Life History, Sea ice habitat and tagged Arctic, climate change, essential, facts, global warming, habitat, onshore, polar bear, sea ice, sea ice day, summer, terrestral dens. Bookmark the permalink.